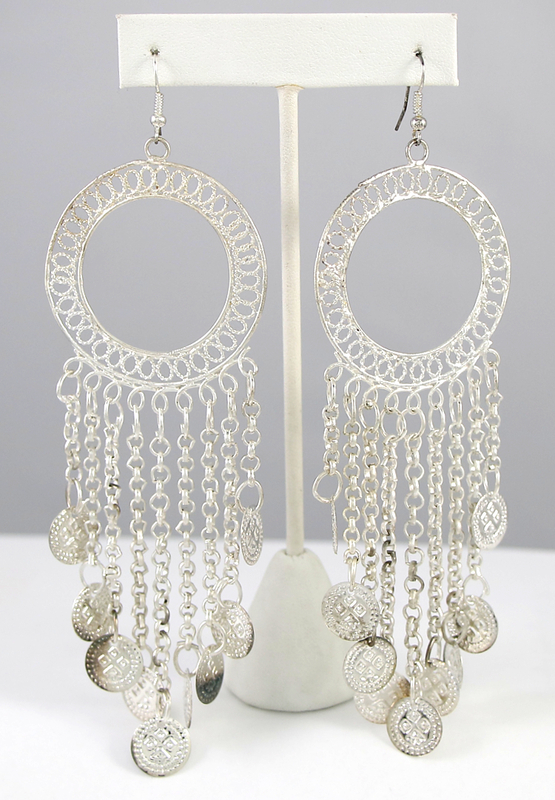 These high-quality round earrings with dangling coins is a great addition to any belly dance jewelry collection. Made in India. These high-quality round earrings with dangling coins is a great addition to any belly dance jewelry collection - from Cabaret to Tribal. For stage, parties, dance class, Halloween, or daily wear.